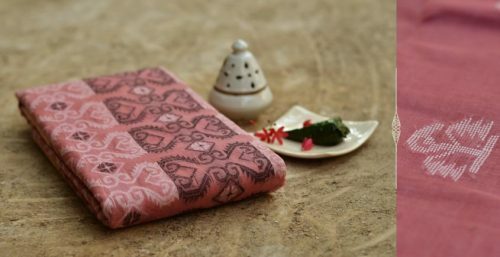 Jamadani saree will always be picked by ladies who love to have a sophisticated look. It has got a rich history with some interesting facts that makes us more crazy about these sarees. Jamdani was originally known as Dhakai named after the city of Dhaka, one of many ancient textile weaving centers in Bengal region. Under the Mughal Empire the Persian term Jamdani came to be in popular use, since it was the court language of the Mughals. 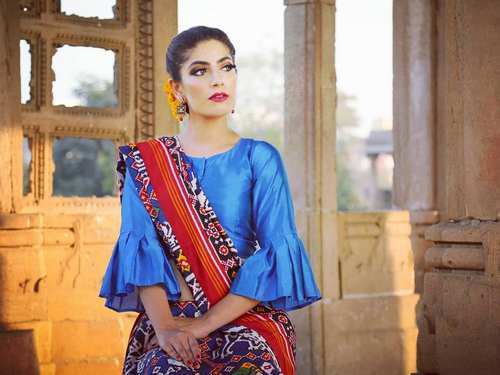 The term Jamdani is Persian deriving from ‘Jam’, meaning flower, and ‘Dani’, a vase or a container, named after decorative floral patterns found on Dhakai textile. It has been known as the most artistic textile of the Bangladeshi weaver. Jamdani has never gone out of style. Even today, Jamdani is equally valued. It has and it always will symbolize aristocracy. These facts really inspire us to have this masterpiece in our wardrobe. So, let’s explore some of the finest Jamdani saree which you can easily own in just few clicks. 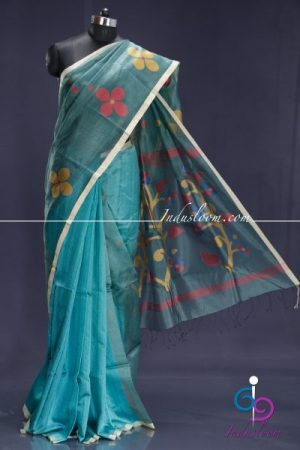 Below we have compiled a list of 7 popular webstes to buy Jamdani saree Online. 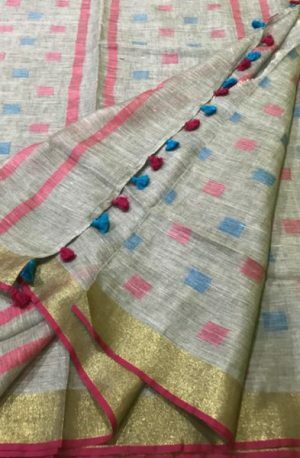 This online retail store is all about handloom saree and you will find great variety of Jamdani saree with resonable prices. This beautiful off white jamdani saree with colorful thread work on it brings true beauty of this weave. 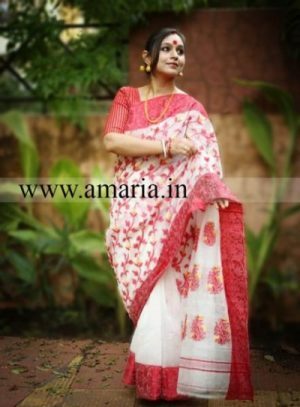 Amaria Ethnic is a specifically curated space that celebrates the richness of Indian handloom. Their have some great handloom sarees from eastern region of India. The classic combination of red and white creates an everlasting magic and the delicate floral prints are mesmerizing too. It brings you the choicest selection of curated and customized textiles that are in themselves a statement of art. The Yale blue floral matka silk saree with muslin jamdani pallu is not only about its rich fabric but is also about bringing some beautiful colors together. LuxurionWorld.com is an online platform to buy ethnic, hand-crafted, hand-embroidered, premium apparel for women. They bring best of traditional apparel to you sourcing it directly from skilled, handpicked artisans across India. Grey Handloom Jamdani Linen Silk Saree with pretty golden border is the USP of this piece. 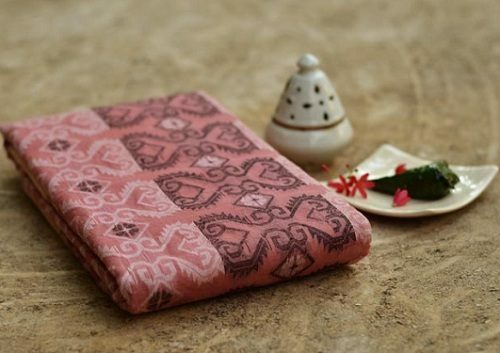 An Online Store to explore the traditional creativity of Indian weavers and craftsmen. Hathkargha enables you to shop Saris and Unstitched suit fabrics which are manufactured and handpicked from all over the country promoting Indian handloom sector. 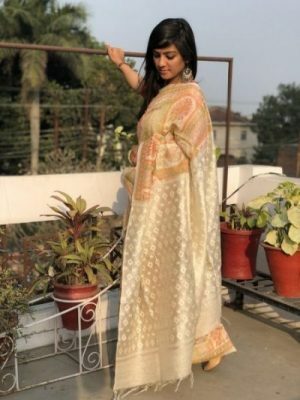 Off white multi jute & tussar silk block print saree has a beautifully woven jamdani palla sari which makes it so alluring. 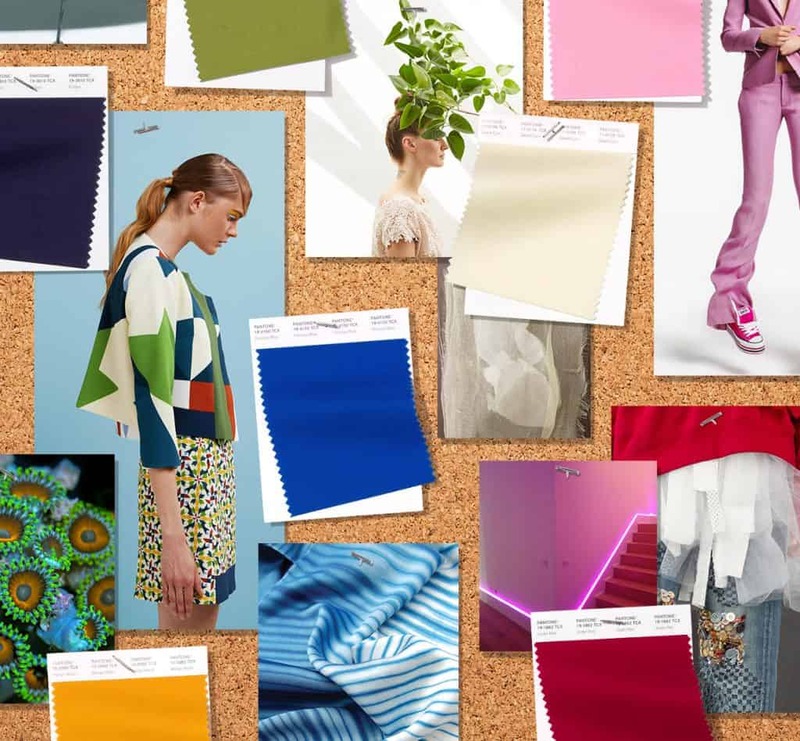 It is one of the most established multi designer boutiques in India. 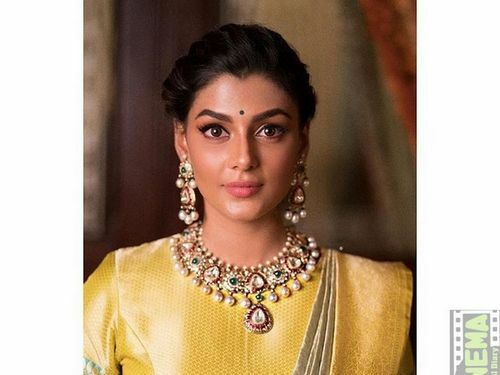 Many of the biggest names in Indian fashion – Rohit Bal, Anamika Khanna, Sabyasachi, Kavita Bhartia, Payal Pratap – showed their first collections here. 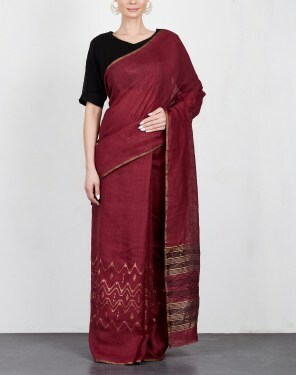 The majestic Wine Jamdani Linen Saree is one of the best color for the Asian skin and linen fabric makes it a perfect pick for summers. The ‘Gaatha’ project was conjured to play the key role of storytelling and there with bringing social and commercial benefits to the artisan settlements. 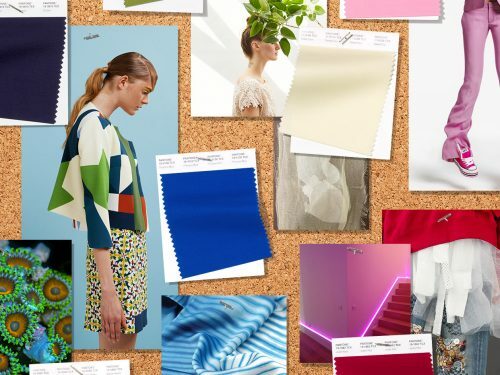 They act as a bridge where the artisans can directly connect with the global audience. They sell craft not as objects but wrapped in beautiful stories and ideologies which make online buying a beautiful experience. Anindita ⌘ Jamdani Sarees are known for their fine designs and soothing colors. 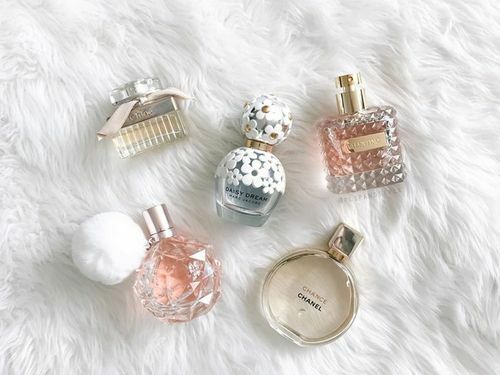 Summers can never be complete without them.